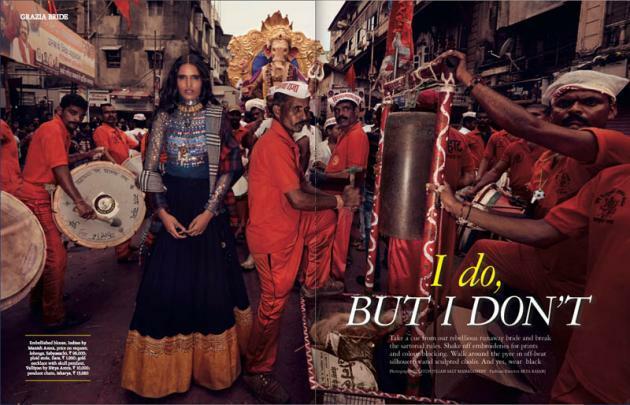 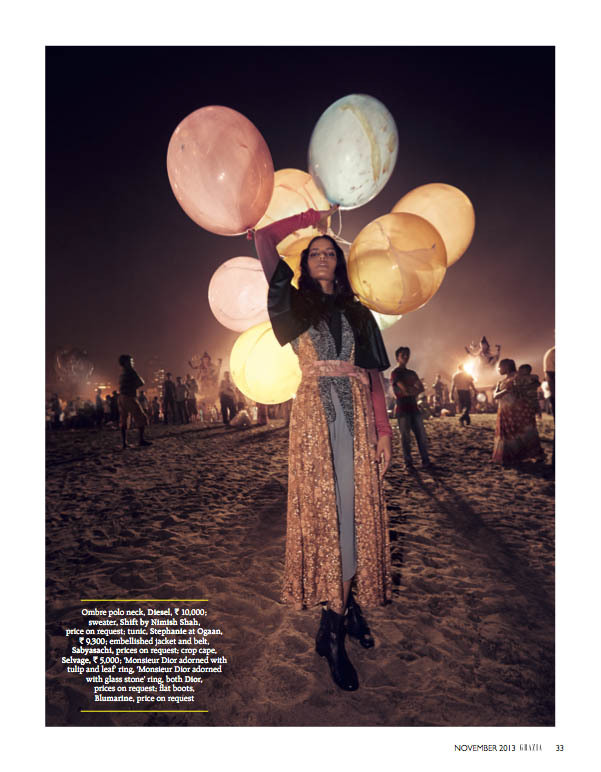 Grazia India's November issue celebrates Indian wedding style with this exciting shoot taken during the Ganesh festival. 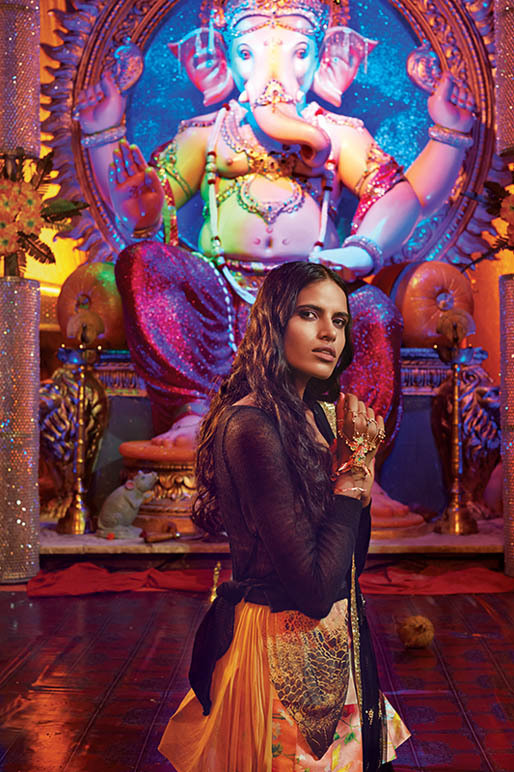 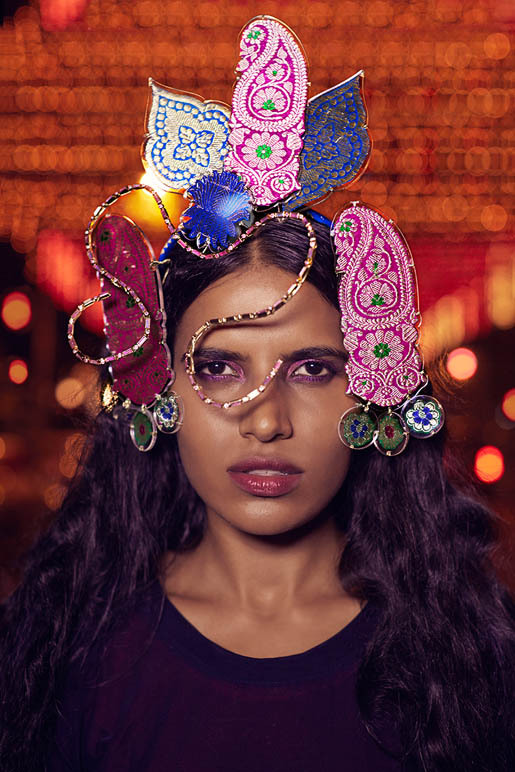 Model Preeti Dhata stars in the spread, posing in the streets for these colorful images shot by Colston Julian. 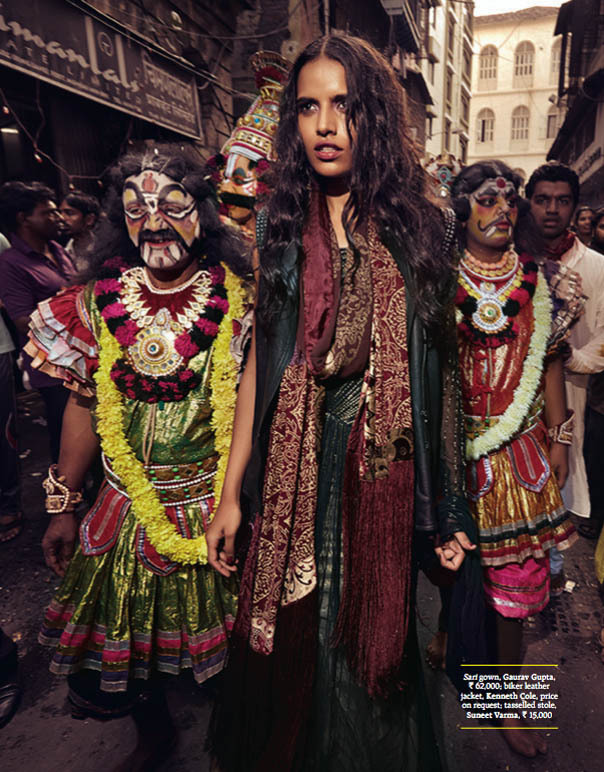 Preeti dons a mix of threads from Indian wedding designers and ready-to-wear labels like Diesel, Kenneth Cole and Dior.